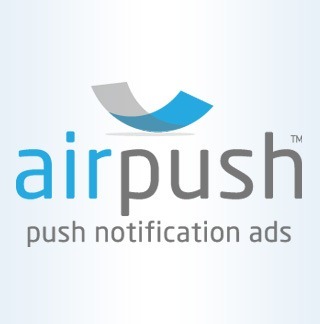 As if you needed another reason to hate the very concept of Airpush ads in Android apps, there is now a lawsuit alleging that these ads have been used to bilk consumers out of some real cash. The class-action complaint, filed in U.S. District Court of Colorado takes aim at developer GoLive Mobile and the Airpush ad network. If the claims are accurate, there has been some seriously seedy stuff going on. Maybe you've never seen an Airpush ad on your device, but plenty of users have. 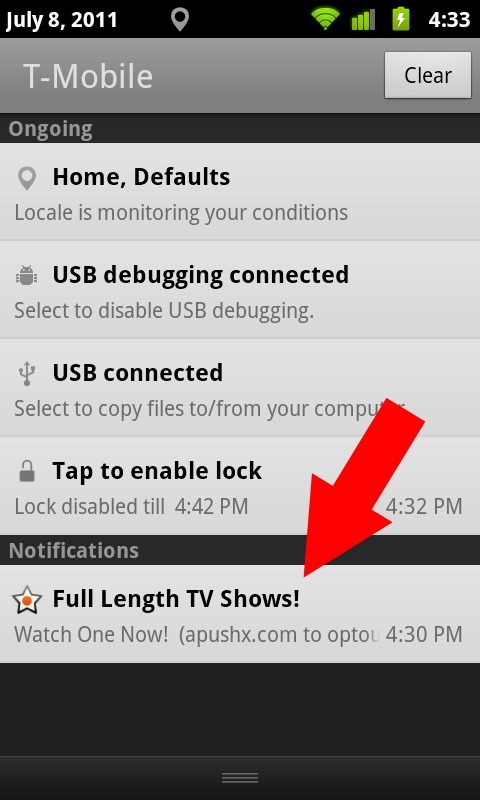 Airpush basically sticks ads in your notification area that often look like real system notifications. It's really lame, but there isn't usually any direct harm – just the annoyance of figuring out which app to nuke. The lawsuit alleges that GoLive took things a step further by making ads that looked like email or calendar alerts. 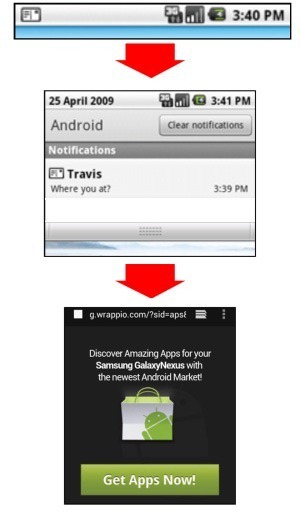 When a user naively tapped on the ad, they ended up on a screen that used official-looking "Android Market" icons and told them there were app updates available. From there, a cleverly disguised website asked for the user's phone number. You probably know what happened next. Premium rate text message charges from GoLive would begin showing up on the user's bill, sometimes for months before anyone noticed. Attorneys are seeking an undisclosed sum to cover damages caused by the alleged deceptive practices of both GoLive and Airpush. Neither company has yet responded to the lawsuit.